7 This is what he showed me: The Lord was standing by a wall that had been built true to plumb, with a plumb line in his hand. 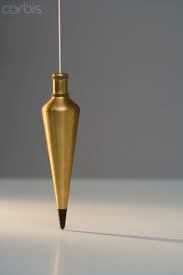 8 And the Lord asked me, “What do you see, Amos?” “A plumb line,” I replied. Then the Lord said, “Look, I am setting a plumb line among my people Israel; I will spare them no longer. Amos was a shepherd who tended his flock near Bethlehem and Jerusalem. He lived about 750 years before Jesus and was sent to tell the people of Israel that they would be judged by God. This makes Amos a prophet. Amos knew that he had to talk to the people of Israel in ways that they could understand. The people of Israel were very good workers and builders. You will show what God meant when He had His advice on how to teach the people of Israel. Now ask the children to see how straight they can hold the stick (up and down – vertical). Have them line up their sticks so that they are perfectly straight up. Who has the straightest stick? Are any of the sticks perfectly straight up and down? Well, this is a very hard thing to do. It is even harder to build a wall out of stone so that it is straight. Amos knew that to build something straight, people needed help. Do you know what this is? It is a plumb line. A plumb line is a very good tool to build with. Hold the plumb line out. As the children to look carefully and see how the string is always straight up and down no matter how it is held. You might want to lean to side to side and show that the plumb line is always true. If you then hold the plumb line next to each stick, it becomes much easier to hold the stick straight. It is the “Perfect Reference” for vertical. Now in Amos’s story, the plumb line is also very important if you want to build a straight wall. The straight wall is the nation of Israel. What did the God mean? Well, as people, God knew that we cannot build our lives so that we are straight and true without something to measure our life against. Amos was telling the people of Israel that God would give them something to measure their own lives against so that they would know how to behave “Perfectly.” Do you know what God was going to give the people of Israel? Well, God gave us His son Jesus. You see, Jesus is just like a plumb line. Jesus is always perfect. When we get to know Him so well that we can measure ourselves against Him, we can be just like a plumb line and help us build a straight wall (our life), pleasing to God, but if we try to lead our lives without a measurement, we often find that no matter how hard we try by ourselves, our life ends up just like a crooked wall. Just like our sticks. That is why is it important to know who Jesus is, how He lived and have Jesus in your life. And when you are struggling with problems, just remember Amos, the plumb line and that very straight wall. Why is Jesus like a plumb line? Everyone can use a plumb line – no special skills, no age requirement, you just need to believe the measurement it gives you is TRUE!